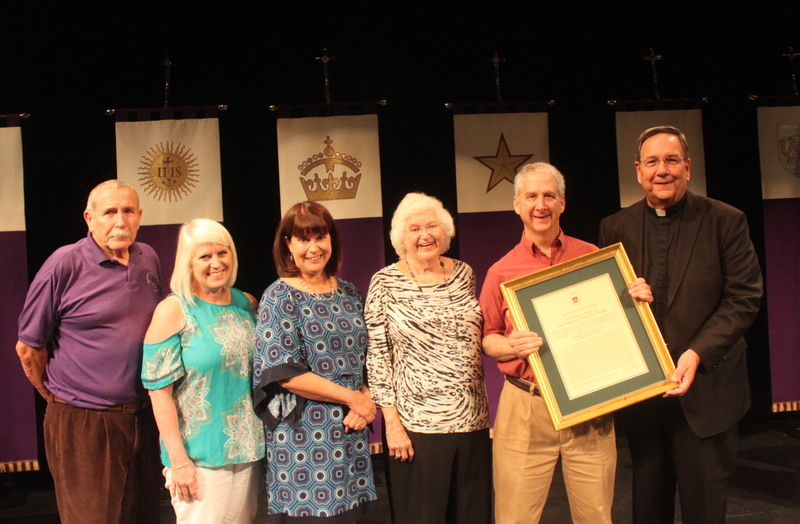 At the presentation of The University of Scranton’s John L. Earl III Award to Michael Friedman, Ph.D., professor of English and theatre, are, from left: Leonard Champney, Ph.D., professor emeritus; Jacqueline Earl Hurst and Karen Earl Kolon, M.D. 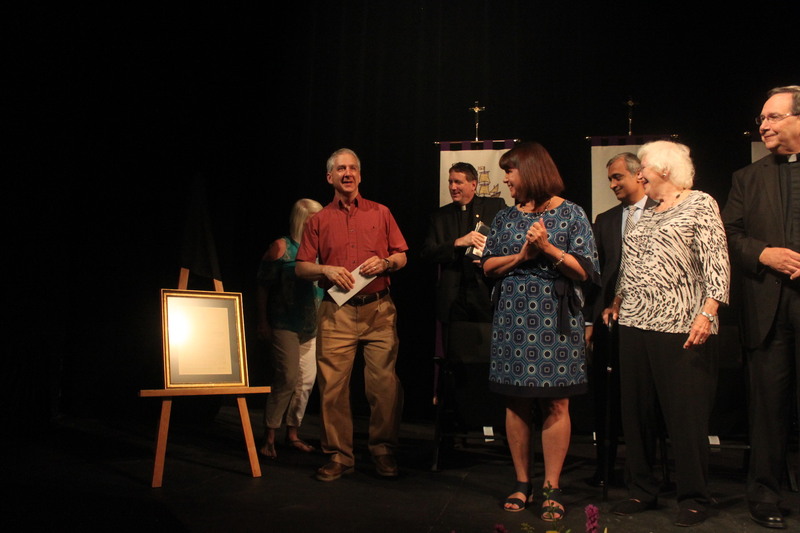 ’85, daughters of the late John Earl; Pauline Earl, wife of the late John Earl; Dr. Freidman; and Rev. 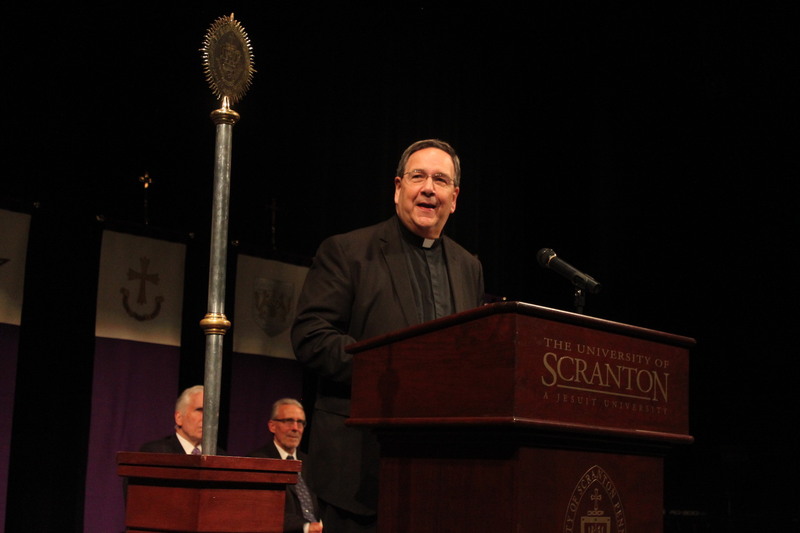 Herbert B. Keller, S.J., interim president at Scranton. 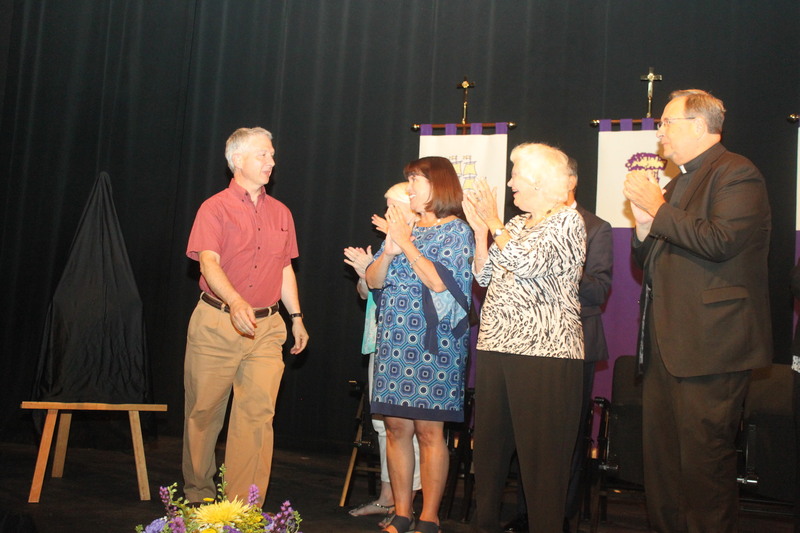 University of Scranton English and Theatre Professor Michael Friedman, Ph.D., received the John L. Earl III Award for service to the University, the faculty and the wider community. 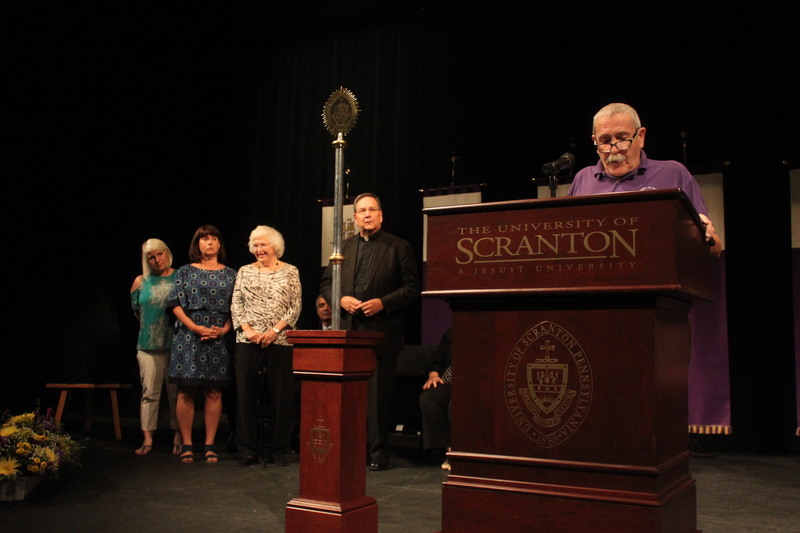 This award is given annually to a member of the University community who demonstrates the spirit of generosity and dedication that the late Dr. John Earl, a distinguished professor of history, exemplified during his years at Scranton from 1964 to 1996. Full of grace and fair regard” William Shakespeare “Henry V"
Previous Earl award recipient Leonard Champney, Ph.D. professor emeritus at Scranton, quoted William Shakespeare to describe Dr. Friedman as being “full of grace and fair regard” in his remarks at the award presentation at the ceremony. 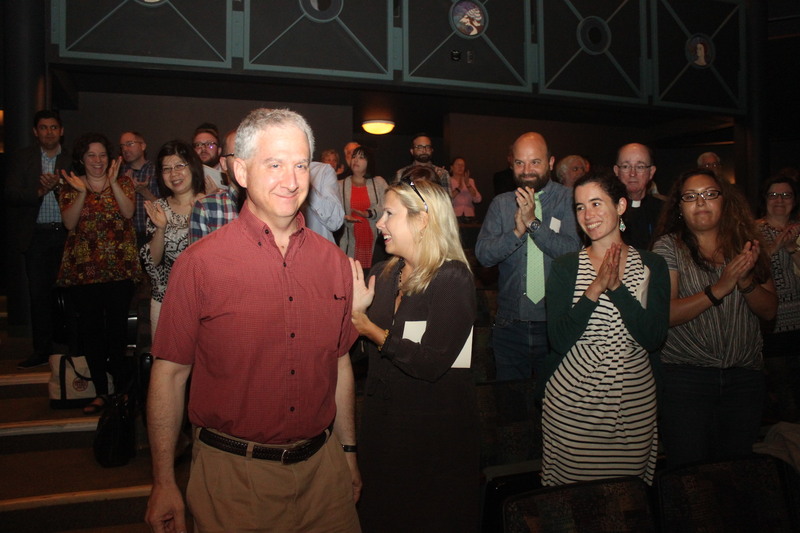 As a distinguished Shakespeare scholar, Dr. Friedman has published more than two dozen scholarly articles and presented another two dozen scholarly papers. He is the author of “The World Must Be Peopled: Shakespeare’s Comedies of Forgiveness” (Fairleigh Dickinson Press, 2002) and the second edition of the volume dedicated to “Titus Andronicus” in the Shakespeare and Performance series published by Manchester University Press (2013). 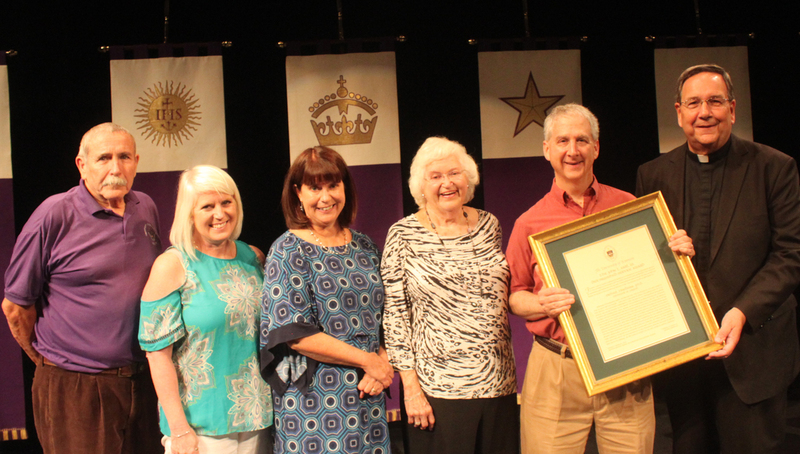 He serves on the editorial board of Shakespeare Bulletin and as a member of the International Committee of Correspondents of World Shakespeare Bibliography. 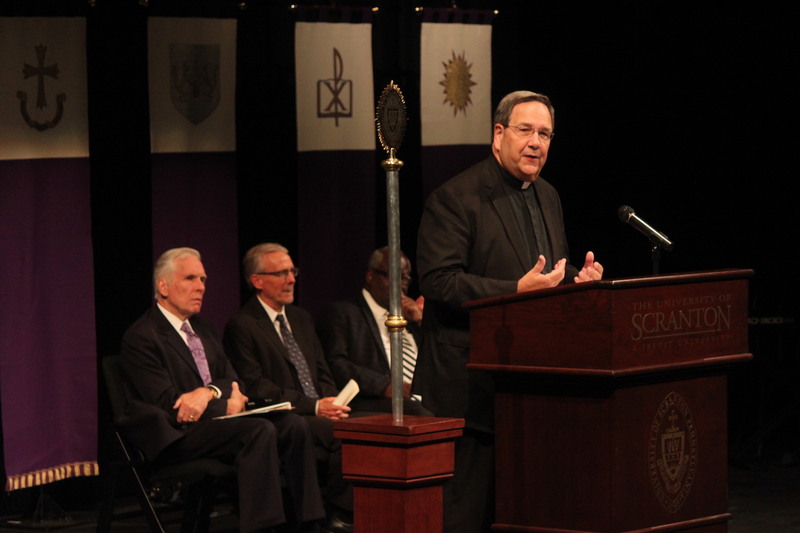 During his more than 25-year tenure at Scranton, Dr. Friedman has also served on numerous other committees and initiatives including the Handbook Committee, First-year Experience Task Force, the Jesuit Identity Task Force and as a Summer Orientation Academic Advisor, among others. He has also acted in seven University Players’ productions. Dr. Friedman earned his bachelor’s degree from Tulane University and his master’s and doctorate from Boston University. 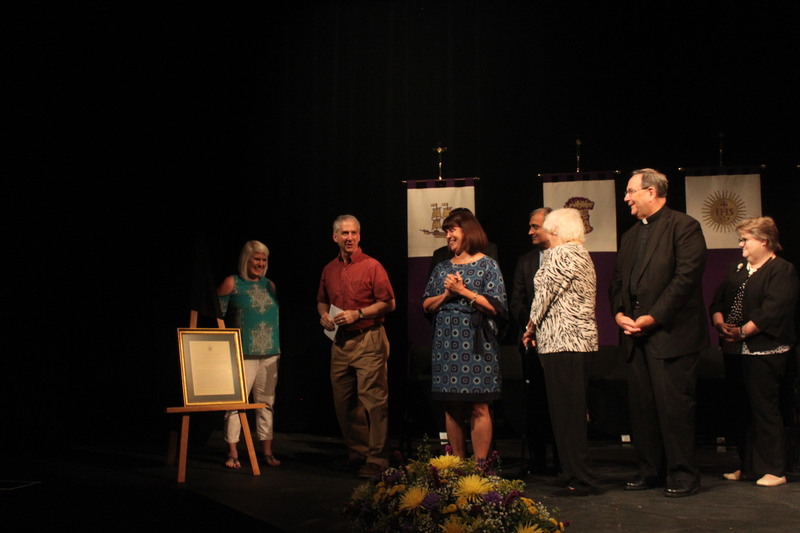 New faculty members were introduced and the John L. Earl III Award was presented to Michael Friedman, Ph.D., professor of English and theatre, at the Fall Convocation held in the McDade Center for Literary and Performing Arts. Rev. 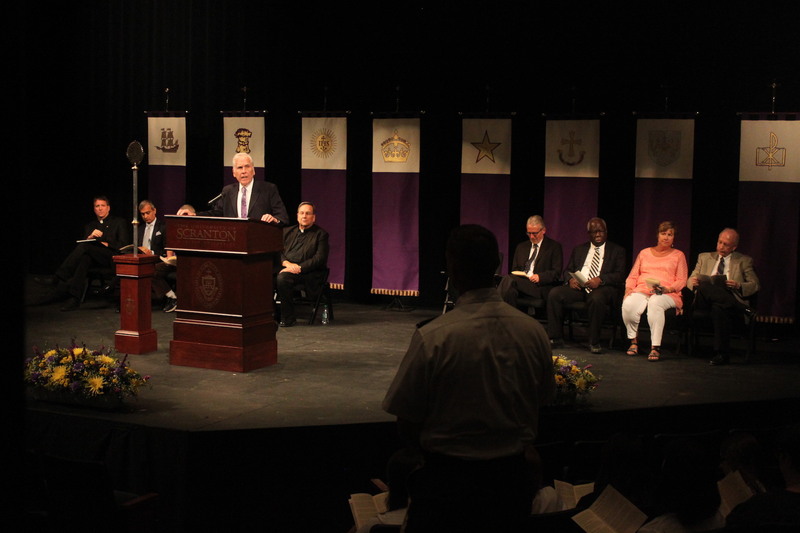 Herbert B. Keller, S.J., interim president at Scranton, also delivered remarks at the Convocation.